Thursday August 30,2018 - Former Prime Minister Raila Odinga’s Communication Adviser, Philip Etale, has asked the Director of Public Prosecutions, Nordin Haji, to arrest his father, Senator Yusuf Haji, for grabbing a piece of land in Malindi. According to Etale, Haji who is also the Garissa Senator grabbed an 84 acre piece of land in Malindi when he was serving as the Coast Provincial Commissioner. The family of Kazungu Moli, through its representative, Harry Chogo, said Haji later sold the land to Sheikh Zayed Bin Sultan Al Nahyan, a charitable and humanitarian foundation. “The PC sold the land (Majaoni Settlement Scheme) for Sh4.8 million when residents were living on it," claimed Chogo. "DPP Noordin Haji, this is a matter that requires your urgent attention. Act now... 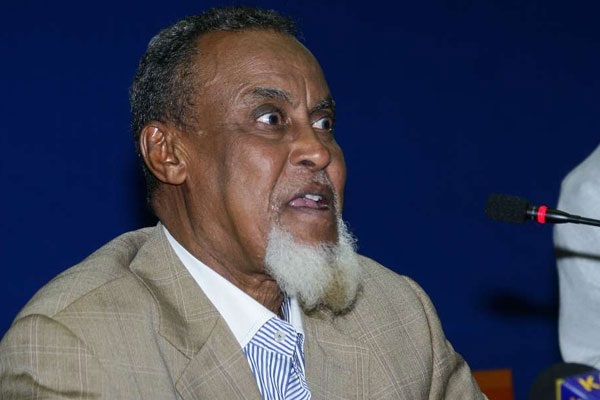 Senator Haji now accused of grabbing 84 acre squatter land in Coast in 1990s,” Etale said. However, in a quick rejoinder, former Kiambu Governor, William Kabogo urged Etale to shut his mouth and let the DPP carry his duties of arrest the corrupt in the society. "That’s below the belt Ndugu. Let the man work." Kabogo told Etale. We must point to all grabbers, thieves and teh corrupt right, left and center. Center being our very own family members. Don't you worry we shall get round to you and all other impunity peddlers - and that includes druggist. There are no sacred cows in this one if there is to be any son of Jomo legacy. Copy?